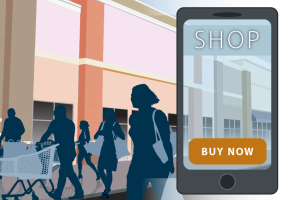 retailers have been urged to take an omnichannel approach to selling products. Consumers increasingly rely on a seamless transition between online research, in-store browsing, purchasing, and returns. To accommodate this, many merchants now strive for an omnichannel approach that lets a customer move easily between the brick-and-mortar and online experience. One major frustration shared by customers across the globe is inconsistency in experience. If a customer finds an in-store price isn’t the same as it is online or vice versa, that customer will have a negative brand experience. You’ll be viewed as either disorganized or as a scammer. Either way, you’ll lose customers. By ensuring customers get the same prices through every channel, retailers can continue to provide top-quality customer service. In addition to awareness of its own pricing schemes, retailers should also pay attention to industry standards on prices. This can be accomplished by constantly watching the competition, but that can be time consuming. For better results, brands can use price comparison tools that show exactly where their own prices stand in comparison to market rates. Policies should be applied across the board for today’s retailers. This includes returns and exchanges. You’ll likely find that customers who shop on your website will want to return items in store, so treating your multiple channels as one will encourage online shopping. To save shipping charges, many customers will also take advantage of “ship to store” opportunities provided on a business’s website. It’s especially important that your employees have access to a customer’s account without the walls that can sometimes exist between in-store workers and employees who handle service for online purchases. Customers get frustrated when they can’t get help, especially if they’re asked to contact the store when they call the customer service line or vice versa. Research is an important part of the buying process, with many customers checking online before, during, and after shopping in store. By using services like PriceManager, retailers can not only offer lower prices than competitors, but also create a seamless shopping experience that wins customer loyalty.